﻿﻿﻿The sand and surf of Padre Island National Seashore create a place of isolation and beauty. ﻿﻿﻿﻿﻿﻿As a photographer for this magazine, I get to explore every corner of the state. There are treasures to behold in every city, town and rural area. Out of all these, one continues to hold my fascination: Padre Island National Seashore. Armed with my camera and a pocketful of inspiration, I traveled up and down the longest stretch of undeveloped barrier island in the world. Each time I went, I discovered some new wonder. And as I found out, it’s more than just beach; Padre is also prairie, tidal flats and ever-shifting dunes. Sixty miles of beach are open to driving, and most of that requires four-wheel drive. With so many miles of isolation, there’s plenty of time to let your mind wander. I thought of Robert Frost’s poem The Road Not Taken as I watched the nearly impassable road roll by under my tires. 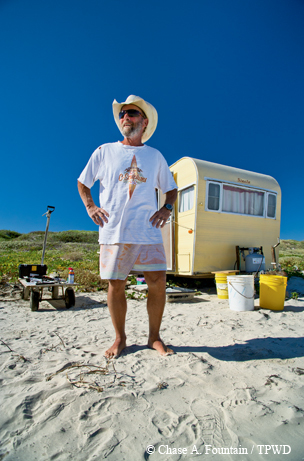 “I took the one less traveled by, and that has made all the difference.” The same can be said for Padre Island visitors, who give up convenience and companionship for solitude and beauty. I wondered why these folks would make a choice like this, make such an effort to get out there. In 1962, before I was born, then-President John F. Kennedy urged the nation to explore beyond our planet. “We choose to go to the moon in this decade and do the other things, not because they are easy, but because they are hard,” he said. It’s as if the very difficulty of visiting this place is what makes it special. Of course, the beauty that surrounds you is the big payoff. The sea created this seashore, and continues to carve it day by day. The sea is ever-changing, ever-fickle, ever-embracing. In these pages, you’ll find the flora, fauna, people and vistas that inspired me. 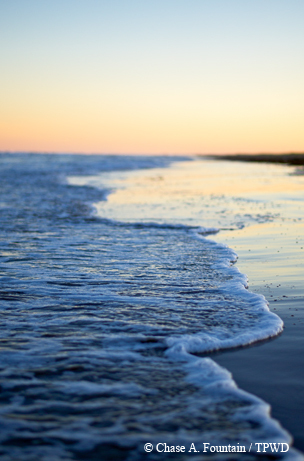 Maybe they’ll inspire you to explore Padre Island for yourself one day. ﻿The national seashore covers 70 miles of coastline. 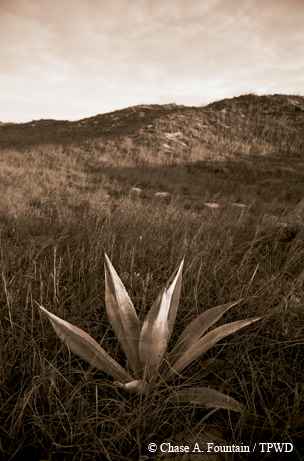 ﻿﻿A large agave is nestled in the grasses in one of Padre Island’s coastal prairies. 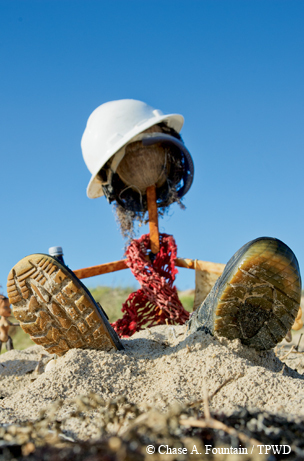 ﻿﻿﻿For decades, the Friends of Padre organization has removed tons of debris from the beach and dunes. 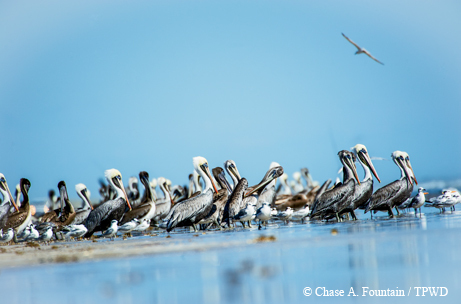 ﻿﻿﻿﻿Nearly half of all documented bird species of North America, including these brown pelicans, have been found at Padre Island. The seashore is on the Central Flyway, a major bird migration route. 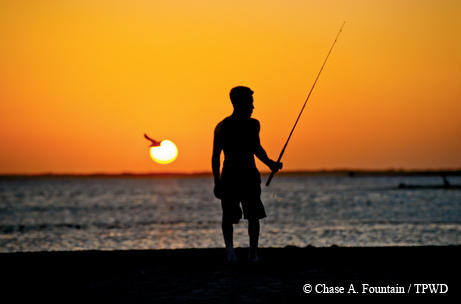 ﻿﻿﻿﻿﻿An angler watches the sunset at Bird Island Basin. 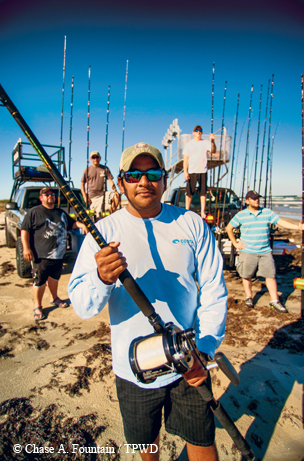 ﻿﻿﻿﻿﻿﻿Known for its shark fishing, Padre Island draws anglers from across the country. Tarpon, snook, redfish and speckled trout are also popular with anglers. 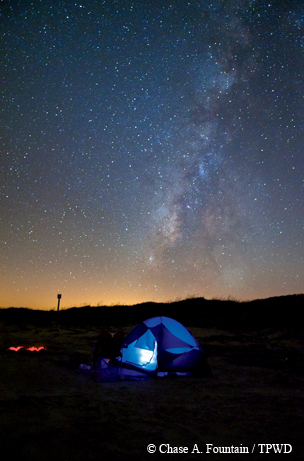 ﻿﻿﻿﻿﻿﻿﻿The Milky Way spreads across the night sky at Padre Island. 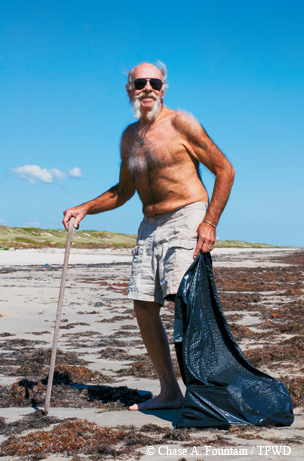 ﻿﻿﻿﻿﻿﻿﻿﻿The remoteness of Padre Island attracts people who want to get away from it all. 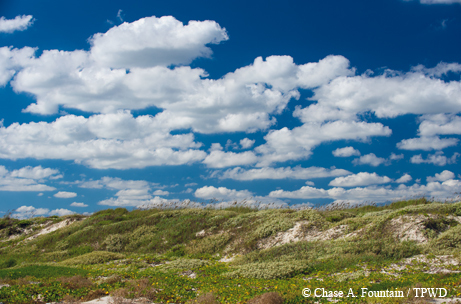 ﻿﻿﻿﻿﻿﻿﻿﻿﻿Most of Padre Island is lined with a ridge of vegetated sand dunes created by wind blowing sand from the beach. ﻿﻿﻿﻿﻿﻿﻿﻿﻿﻿Coastal tides wash ashore tons of debris. Creative travelers sometimes make use of found items.